it takes me away. | wull hay. July 23, 2012 July 23, 2012 / rach. 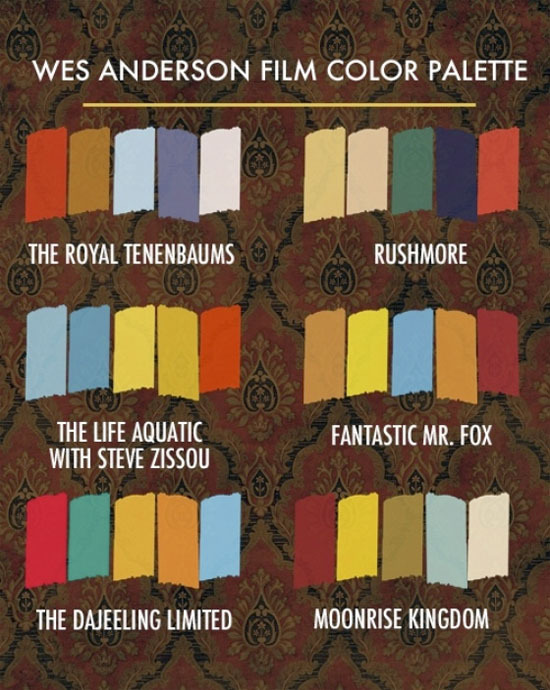 i am thoroughly obsessed with this: Wes Anderson’s color palette. but then i saw this and really loved Moonrise Kingdom’s colors… maybe even more… okay, i love Rushmore’s too. oh, Wes Anderson, will i ever not be in love with you? i hope not. just beautiful., love., nothings., travels., tunes. ← my little ribs around you.